It’s one of those situations where both sides are claiming victory for the same judicial ruling. But when you count it all up, the voters are the ones who emerged victorious following a recent Texas Supreme Court decision regarding voting irregularities and the ambiguities created by existing ballot-counting technology. Former Austin City Council District 4 Dr. Laura Pressley was denied her day in court time and time again after she contested her loss in 2014. But after four years of legal proceedings and teach-ins to grassroots organizations raising awareness of electronic voter fraud, the Supreme Court of Texas finally opened the door to future efforts to strengthen ballot box security and election integrity. The Texas Supreme Court, the state’s highest civil court, ruled Friday afternoon that Pressley’s election contest against Gregorio Casar raises important questions and has judicial merit — even if her contest is now moot since Casar has won re-election to a new four-year term. In lower court proceedings, Pressley’s arguments and questions were thrown out, and she was sanctioned more than $100,000 just for asking the questions. But her sanctions were all overturned Friday in the unanimous ruling by the state Supreme Court. “The election activities that Pressley complains about could create a perception of impropriety, and such impropriety might make the election results unknowable which is precisely her argument,” the ruling read, in part. Pressley prevailed on almost every point, and (bonus) Casar was ordered to pay back Pressley’s Supreme Court costs. The unanimous ruling in Pressley v. Casar may be read here. AUSTIN – A recent Texas Supreme Court ruling leaves the door wide open for future legal challenges over electronic vote counting irregularities raised by a high-profile quest for election integrity. “The election activities that Dr. [Laura] Pressley complains about could create a perception of impropriety, and such impropriety might make the election results unknowable,” the Court ruling stated. Dr. Laura Pressley’s patient and persistent legal case paid off and those reaping the returns of improved election security for years to come are future candidates and all Texas voters. 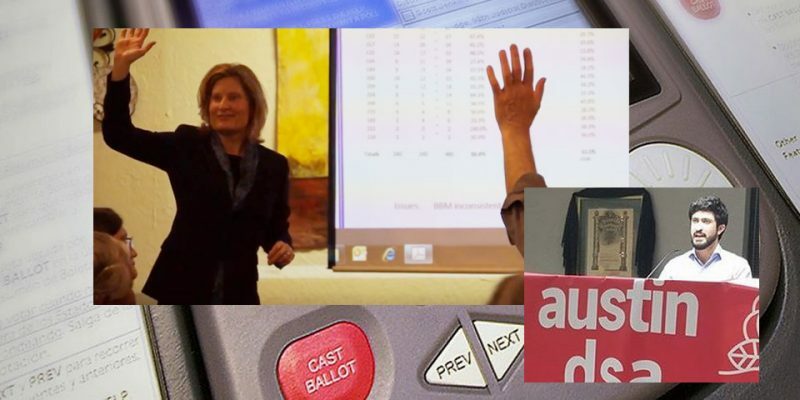 Four years ago, Pressley filed an election contest in Texas, citing irregularities and illegalities which occurred in the tabulation and recount of her 2014 Austin City Council race. Because of the electronic tabulation errors, constitutional violations, and illegalities in her recount, Pressley argued that the results were unknowable. The evidentiary and legal claims she presented were a first in Texas. Pressley’s election contest was short-circuited from going to trial and was sanctioned by two lower courts more than $100,000 for what they claimed were frivolous legal arguments. But, on Friday, in a unanimous decision, the Texas Supreme Court granted her Petition for Review and reversed the lower courts’ judgments stating, “the sanctions were an abuse of discretion” and reversing the financial penalties. The Court went further and ordered Gregorio Casar, Pressley’s City Council election opponent, to pay Pressley the costs incurred in the Texas Supreme Court. Council member Casar has since been re-elected for a second term to the Austin City Council. Even though the Texas Supreme Court determined that the issue of who won the election is therefore moot, Dr. Pressley prevailed in every other aspect of the case. The precedent set by Pressley v. Casar is an important one. Candidates now have the green light to challenge election results using evidence such as statistics, audit log error messages, corrupted memory cards, the lack of paper backup records, and criminal behavior that document mistakes, irregularities, and illegalities committed by election officials in the counting of votes, without the fear of being financially sanctioned for raising the issues. “Contesting elections in Texas is also a tedious process in need of reform,” Pressley said. The legal approach of trotting voters in to court to determine how they voted or going through absentee ballots to gain single or double digit votes to win an election contest is a classical approach to address small margins of victory. Given recent innovations in elections technology, voters and candidates are well-aware that thousands of votes – if not hundreds of thousands – can be manipulated with a push of a button on a central counting tabulation computer on election night. In those situations, candidates may win the vote, but not win the count. In the past, election lawyers and candidates have shied away from challenging these types of serious election issues even when evidence exists that vote manipulation may have occurred. The Texas Supreme Court has now opened the door for candidates to challenge and bring evidence when election officers commit electronic counting irregularities and illegalities that could cause thousands of votes to be manipulated. Dr. Laura Pressley earned a Ph.D. in Chemistry from the University of Texas at Austin and holds four U.S. patents in semiconductor technology. She ran for the Austin City Council District 4 seat and ordered a recount in 2015. When Travis County Elections Office refused to produce authenticated and numbered recount ballots that met the Texas state constitutional and election code requirements, she sued in an election contest citing numerous illegalities and irregularities in the counting of her votes. 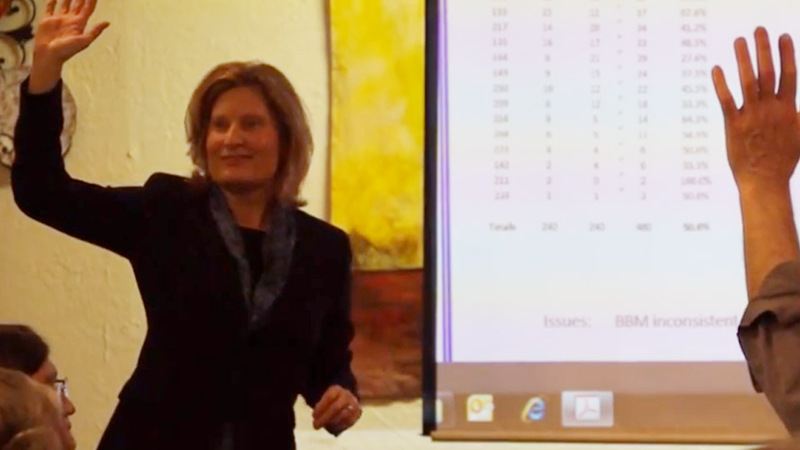 Since her contest began, she has given more than 250 presentations on elections transparency, sparking grassroots interest in a more permanent effort to protect ballot integrity all across the Lone Star State and beyond. She is the Founder of True Texas Elections, LLC, a company whose mission is to ensure transparency and accuracy in the counting of our votes. Previous Article Voter Fraud In Texas: Exaggeration Or Tip Of The Iceberg?